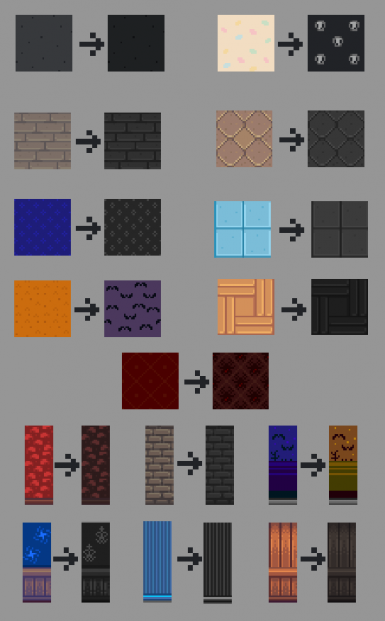 New replacements for different patterns. 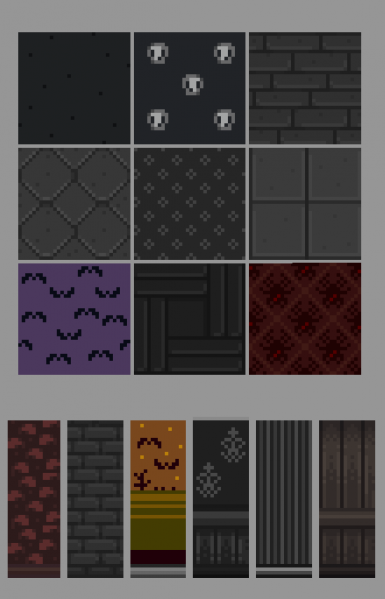 Adds nine new floors and six new wallpapers! 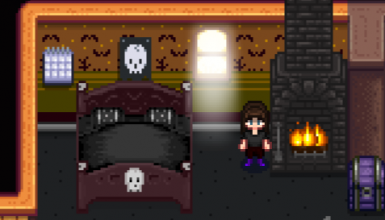 New replacements that add a spooky touch to your farmhouse! I recommend keeping this as a file at hand because the previews in the shop will not show up to what they actually are. Be sure to make a backup of your old files! The easiest way is to copy your 'Content' folder and rename is to something like 'Content Original' or 'Content Vanilla'. If you have forgotten to make a backup, NO WORRIES! Simply delete the files listed and make a copy of your content folder (put on the desktop or somewhere outside of the stardew stream folder). Go to your library and right click Stardew Valley, select Programs and Local Files. Verify integrity of game cache and after this runs and completes you should have all the original vanilla files restored. Use the copied content folder without the mods that you no longer wanted to bring back the mods that you wish to keep. simply drag it back and everything should be good as new. Bed, kitchen and fireplace replacements.